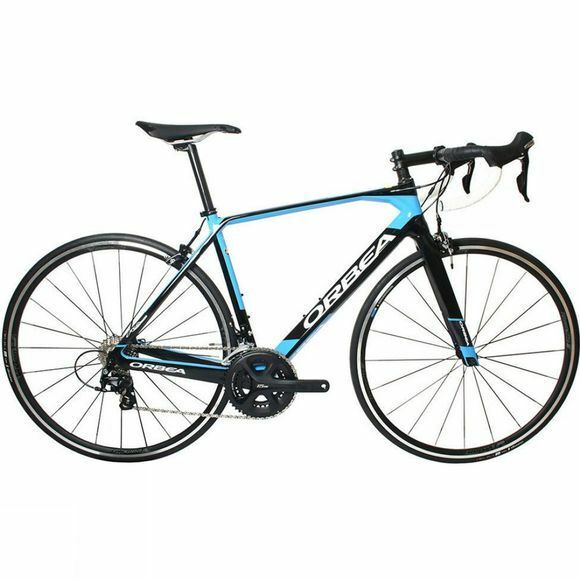 Exclusive to CycleSurgery, the Orbea Orca M35SE is a road bike like no other. Designed around the Orbea's top end race frame, the Orca MS35E is all about elite cycling performance and thanks to the OMP monocoque frame and fork construction, an extremely lightweight bike is produced. The Frame is 20% stiffer than previous editions of the Orca meaning power can be transferred efficiently and effectively. Designed to be light and stiff, the Orca offers great ride quality to help you go faster - ideal if you're looking for a good value Orbea bike that will keep up with your speed. With a spec completely exclusive to CycleSurgery, the Orca M35SE features a full Shimano 105 groupset for shifting precision and keeps pedal strokes efficient. Keeping the bike rolling fast is a Vision Team 25 wheelset providing a 25mm section-rim and an aluminium braking surface for increased stopping capabilities. Painstakingly finished off with a hand-picked componentry package, the Orca M35SE features a carbon fibre seatpost, a Prologo saddle and an FSA handle bar. Geometry wise, the Orca M35SE is nimble and lively, however remains stable at speed, while cornering and makes to most out of every pedal stroke. If you want a unique bike not available anywhere else, the Orbea Orca M35SE is for you. 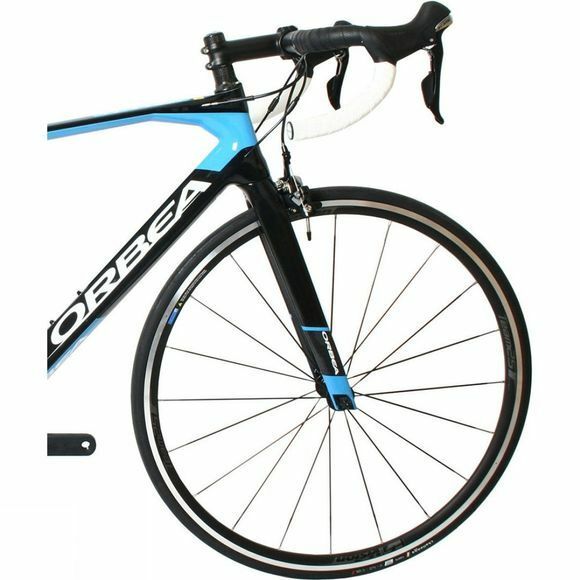 Frame: Orbea Orca carbon OMP, monocoque, tapered 1-1/8" - 1,5", PF 86mm, powermeter compatible, internal cable routing, EC/DC compatible, 130mm rear spacing, 27,2mm seat tube. Fork: Orca OMP carbon fork, full carbon steerer, tapered 1-1/8" - 1,5", carbon dropouts.